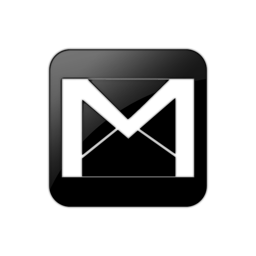 You can insert / add images in body of gmail using Inserting images Gmail Lab. 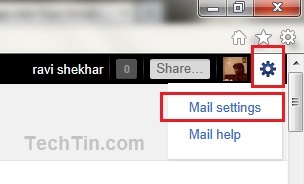 Login in your Gmail account and click settings icon and then go to Mail settings. Enable Inserting images and click save changes button at bottom. Now start composing a mail. You will get option to inset image as shown in below image. 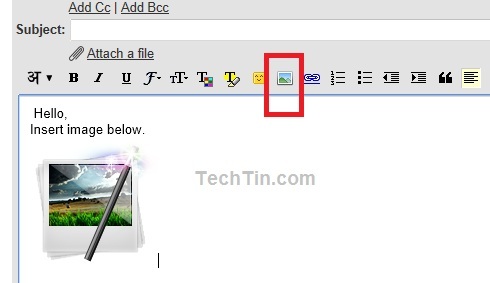 If you cannot see the mail toolbar, you need to enable Rich formatting. Gmail give you option to use image from your computer or from any url.